A new publication in partnership with the Global Association of Physicians of Indian Origin (GAPIO). Over thirty million people of Indian, Pakistani, and Bangladeshi origin live abroad, many of them within the English speaking world. Despite being able to call upon some of the world’s most developed health services, this Diaspora of Indian-origin often suffers from poorer health outcomes than the indigenous population. People of South Asian origin (those of Indian, Pakistani, or Bangladeshi descent) currently living in the English-speaking world have been found to be far more susceptible to developing Type II diabetes, suffering fatal complications from Coronary Heart Disease, and being diagnosed with late-stage cancer. How has this ethnic health disparity occurred? What can Indian-origin physicians operating in the Western Hemisphere do to better tailor their health services for the equitable provision of South Asian communities? 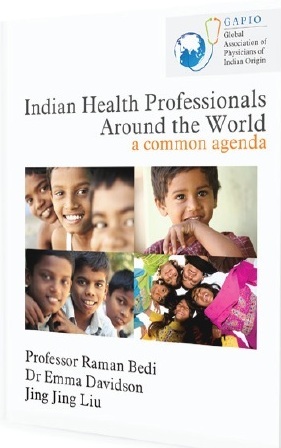 Indian Health Professionals Around the World: A Common Agenda, ambitiously attempts to address these fundamental questions; analyzing the current status of health provision in both India and the west, and calling for the formation of a community of South Asian physicians willing and able to engage with the healthcare challenges faced by those of their shared ethnic and cultural identity. Indian Health Professionals Around the World is an in depth study of the major challenges facing health services in regards to Indian-origin patients. A combination of genetics, religious/cultural beliefs, and linguistic barriers make the South Asian minority experience of western healthcare systems a unique, and vitally overlooked area of medical study. Simultaneously assessing the current state of Indian health provision, this book calls upon the 125,000 physicians of Indian origin currently operating in the English speaking world to recognize themselves as a powerful, coherent group within the field of medicine; perfectly placed not only to better tailor the disease prevention, diagnosis, and treatment of migrant populations, but to exchange much-needed expertise and knowledge with their country of descent. 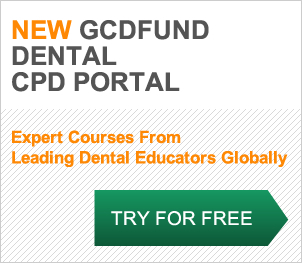 If you would like to hear more about the work of the Global Child Dental Fund and our Smiles & Hopes programmes, please register here for our ‘newsletter’.